The Mini EV will be based on this Mini Electric concept. LOS ANGELES — The Mini brand is contemplating going all electric, but a decision won't be made until early next decade. 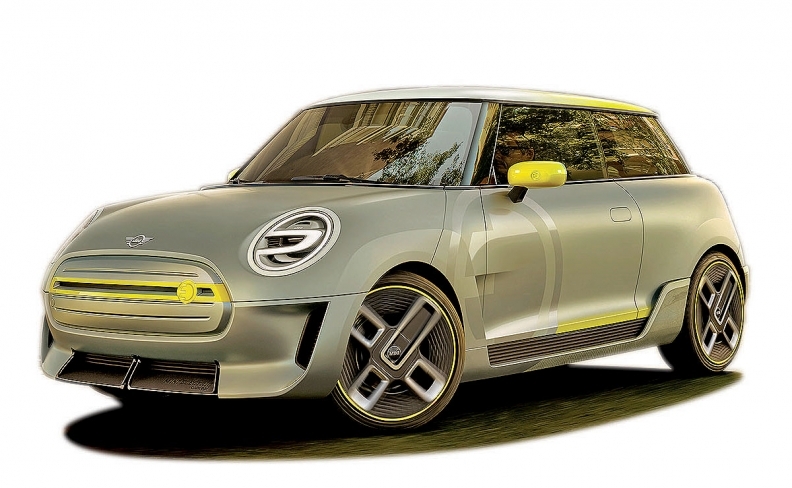 Brand executives want to evaluate how the launch of an electric Mini planned in 2019 goes, Thomas Felbermair, vice president of Mini Region Americas, said in an interview at the Los Angeles Auto Show. The coming Mini EV, based on the Mini Electric concept shown in September at the Frankfurt auto show, will join the Countryman plug-in hybrid, which went on sale this summer in the U.S.
"This shows a certain direction: We are electrifying the brand," Felbermair said. "If Mini has a fully electric future in the U.S. or worldwide, this is something that might be possible. Because we are an urban brand, and a lot of cities are [mandating that] you can't drive in with a combustion engine." A successful launch of the Mini EV would bolster the case for electrifying across the board. The plug-in Countryman is doing well, Felbermair said. It is sold out in the U.S. with a waiting list, and he is asking for an increase in the allocation of plug-in models for 2018. Mini also carries some heritage in the EV segment, he pointed out. The brand leased a fleet of 500 electric Minis to customers in the Los Angeles market in 2008, Felbermair said. Some of those vehicles are still on the road. Between now and 2019, when the new EV launches, Mini will concentrate on training its salespeople for the electric push and educating customers on what they will need, Felbermair said. Daimler AG's Smart brand of minicars became EV-only this year.